How to install Warcraft 3 Patch 1.23? Blizzard has released Latest Warcraft 1.23 Patch for Warcraft 3 Players. You will be able download and install Warcraft 1.23 Patch Offline by reading guide below! Download Dota 1.23 Patch from the link below! Download Warcraft 3 TFT 1.23 (enUS) Patch here! • Download Warcraft 1.23 Patch from the link above and extract it in your Warcraft 3 folder, it will take you to the latest patch without any problems. • Check the Blizzard FTP page for downloading Warcraft 3 TFT 1.23 patch in other languages. • For English (enUS) version, here is the download link to of Warcraft Patch 1.23. • Related Links: Dota Allstars 6.59d. Many people have problems downloading and installing Warcraft 3 TFT patches, If you have any problem installing Warcraft 3 TFT 1.23 Patch you can ask here for solution, Also share your experience by installing 1.23 Patch Warcraft 3. Enjoy playing on Latest Warcraft 3 Patch. 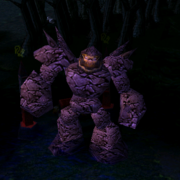 Is this Warcraft 1.23 patch Or dota 1.23 patch? Follow the registry key link bnet tries to look for game in your C: drive under programs you installed game into another location so it cannot locate it under c: programs run registry pack and change to where u installed and it will work. Open BNUpdate file from your Warcarft3 to install patch, Or use Warcraft version switcher from the link given above. I think i need a new worldedit.exe or something but how? ERROR: unable to get write permission on file 'C:\Program Files\Warcraft III\Microsoft.VC80.CRT.manifest' :( . can anybody help me ? Erm can anyone enlighten me about this problem ? I fixed my problem by using the version switcher! All people with update problems just use that program, you can "update" without updating... it has the newest files and will just copy them into your folder. Works perfectly! i had upgrade the patch from mt previous versions 1.22 to v1.23, but the maps for Dota Allstar v6.59 can't be read. Hmm seems so that some dota maps hasnt an valid "name" for the new patch. you should try it - good luck! after patch this game... i cann't play LAN games... why??? I'm using the patch switcher,when i switch to the patches (1.22,1.21 or 1.20) then the game (warcraft) shows the dota files while creating a game but if i switch to the 1.23 version then it does not show any dota maps !!!! the error says that i must reinstall warcraft i don't know how to install it . Can you please link the instlation game here ? I just want to ask if u can put the installation of warcraft here because i an error has shown when iam downloading the patch that says that u must reinstall warcraft 3 game and thank you for the support . what does it mean by prepatch successful? does it mean that its fully patched already? I have the same problem as the guy above. maybe its bcoz i downloaded a corrupt patch from pirate bay. anyway i think the root of the problem is the game.dll. any help. wat do i need to do now? ? I'm using copy-paste WC3, 1.22 english version..
how I can upgrade it to 1.23 english version WC3? Just copy the patch in the warcraft directory and run it there. i just bought a new warcraft cd.it the patch 1.07 it worked fine.earlier i tried to patch to the latest version by the offline method.all went fine until i tried to open frozen throne but he error came that it could'nt locate the war3.exe file....i pressed the retry button nd nothing happend can anyone help me out plz?? i cant play downloaded maps! y?!?!?!?! i have the same problem abt downloaded maps.. says memory could nt be read.. i hav windows Xp X64 os. Hope some of my advise could help you guys and thanks i've been 2 years dota players SUPPORT YOU BLIZZARD!!!!!!! WOWO!!!! thats all gud luck and bye I LOVE DOTA SUPPORT YOU BLIZZARD!!!!! Ive successfully installed 1.23 but the problem now is a cant wiew my 6.59 ai map when i create a new game. how come? why i couldn.t open my B.Net? Anyone can help with this? is this the newest patch? for those with bnupdate problem, try right click your prepatch (you know, those 1.24e patches that you use to update... well at this time the latest is 1.24e) and choose run as admin. worked on me, hope it does to you! guys with bnupdate problem, try right clicking on your patch and choosing run as admin. good luck! O sistema não pode encontrar o arquivo especificado. I already submitted ticket to blizzard. waiting for their response right now.